Glen Mills Schools in Delaware County is the nation's oldest reform school for boys. The Glen Mills Schools appealed Pennsylvania’s emergency removal order on Thursday, saying the staff does not abuse and threaten children. The school is petitioning to reopen its campus, which — although not technically closed — has lost all its students and cannot accept any new ones under the state order. The 29-page appeal primarily argues that Glen Mills has done nothing but good for boys, and that too many government officials and children’s advocates have inspected and visited Glen Mills’ campus for child abuse to have gone undetected. “The department asserts that, somehow, Glen Mills has managed to fool all of the trained, experienced and caring professionals who visited the campus and that it secretly maintained a culture of cruelty and daily violence right under all of their noses,” the appeal reads. Lawyers for the school also argue that Glen Mills executive director Randy Ireson did not fail to keep boys safe at the school, as state officials unequivocally said in the removal order. The Pennsylvania Department of Human Services (DHS), which licenses and oversees residential programs like Glen Mills, issued the removal order on March 25. In its 10-page report, the agency said it had uncovered widespread physical abuse by Glen Mills staff, who attempted to keep boys quiet about their beatings and coerced them to lie about their injuries. All boys were to leave campus, and no additional students were to arrive. 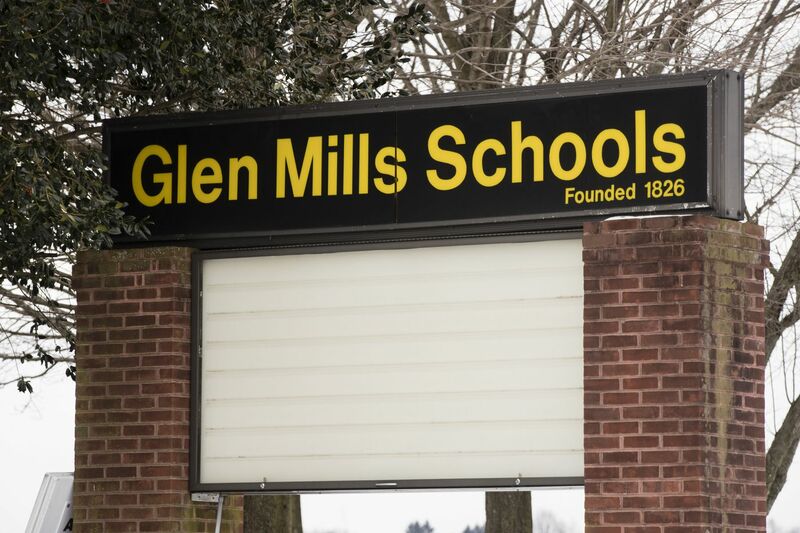 DHS Secretary Teresa Miller said the removal of boys was “one step” of an ongoing probe that could culminate in Glen Mills’ losing its operating licenses. “As the investigation into allegations raised in recent reporting continues, we must do what is necessary to ensure that no more children are at risk of physical and emotional harm,” Miller said. An Inquirer investigation published in February documented decades of child abuse and cover-ups at Glen Mills, the oldest existing reform school in the country. It described how boys were kept quiet with threats of worse placements and longer sentences, thus keeping the violence at Glen Mills under wraps. In response to the story, multiple state agencies launched investigations into Glen Mills, and judges around the country pulled boys from the school. By the time the state issued the removal order, 64 boys remained on a campus that at its peak housed more than 1,000. As of Thursday, two were left. They are scheduled to leave Friday, DHS officials said. In its appeal, Glen Mills says tate inspectors, probation officers, child advocates, and attorneys were frequently on campus and believed it to be a safe place. They allege that Philadelphia’s public defenders “visited their clients on the Glen Mills campus every week for years and interviewed their clients privately but never filed a single complaint with Glen Mills." As children disappeared from the 800-acre campus in Delaware County, Glen Mills began the process of laying off 250 employees this week. The school employed 668 people and spent $32.1 million on salaries, benefits, and other compensation in 2016, according to its most recent tax filing. An undisclosed number stood to lose their homes along with their jobs, as the school provided housing close to campus for certain supervisors and long-term employees. In a statement, school leaders said they were “mindful” of the impacts of the layoffs on their employees’ families. “We will take any step that we have control over to assist our employees through this process, and provide the time and support necessary to help with a proper transition,” they said. Meanwhile, Ireson — the director whom the state specifically faulted for failing to keep boys safe — remains employed and living in school-affiliated housing. In fiscal 2017, the director received $336,000 in total compensation from Glen Mills, which had annual revenue of about $40 million. Ireson took a leave of absence, citing health reasons, eight days after the Inquirer investigation was published online. Randy Ireson became the executive director of the Glen Mills Schools in 2013. The former college football player started as a counselor in 1979. When presented with the newspaper’s findings, Glen Mills announced the formation of a review panel of former students, staffers, and child-protection experts. But school leadership, without pointing to anything specific in the Inquirer report, also said it “disputes virtually all the allegations and conclusions." DHS officials “verified the following violations” at Glen Mills: Staff assaulted a child, injuring him in an eye, then coerced him to say he hurt it playing basketball; three staff members choked a child, then slammed him to the floor, injuring his neck; a staffer punched a child in the face, breaking open a lip; and as many more incidents of violence. “These findings verify that Glen Mills failed to protect the youth entrusted to its care, placed youth at risk of serious physical injury, permitted youth to sustain physical injuries by their acts and failure to act, and Glen Mills engages in a culture that instills fear in youth through coercion and intimidation,” DHS officials said in the removal order. In other cases, the school provides alternative versions of events. For example, where the state found that “staff failed to intervene to protect a child from another resident resulting in the child suffering a broken jaw,” Glen Mills says two boys were making peanut-butter-and-jelly sandwiches when one boy “sucker punched” the other boy in the face twice. In addition to the abusive incidents found by the state, a class-action lawsuit filed last week on behalf of two former Glen Mills students and one’s mother describes further cases of staff beating children. A teenager from Michigan, who was 16 when he came to Glen Mills in 2016, said staffers pulled him from his bunk bed and slammed him to the floor, where they jumped and spit on him. They disconnected the phone line when he tried to report the abuse to his mother. Before he could leave Glen Mills for a new placement, staff broke his nose. The other plaintiff, a boy from Wilkes-Barre, was 17 when he violated his probation and was sent to Glen Mills in 2018. He says he was assaulted by three staff members who said he used the bathroom at the wrong time; they broke three of his ribs. The attorneys — civil rights lawyer David Rudovsky in partnership with Berger Montague, a national class-action law firm based in Philadelphia — are seeking unspecified damages and other compensation. They said they expect many more former students to join the suit. Glen Mills’ petition will be handled by DHS’s Bureau of Hearings and Appeals, which will likely schedule a pre-hearing conference within 30 days to discuss timing and jurisdiction. Unless DHS and Glen Mills settle the case at the conference, the bureau would schedule the hearing for about four to six weeks from then. At this hearing, “DHS bears the burden of proof with regards to licensing actions and allegations,” said Ali Fogarty, a spokesperson for the department. Both Glen Mills and DHS would file post-hearing briefs within 30 days. The hearing bureau then makes a decision. There is no law or regulation that dictates how long the decision will take, but it can be appealed by the losing party. The last time DHS issued an emergency removal order to a juvenile program was in 2016, to Wordsworth Academy. Two staffers killed a boy during an assault at the Philadelphia residential treatment center. Wordsworth has since closed.